Forty-minute appointments – Patients age 65 and older, receive extended forty-minute appointments, giving our physicians quality time to care for seniors. Twenty-minute appointments are available for patients under 65 and acute care visits. Expanded care team – In addition to Geisinger’s primary care physicians and advanced practitioners, our care team includes shared clerical staff, nurses, medication therapy management pharmacists and pharmacy management, RN case managers, health managers, social workers, clinic health associates, primary care nurse coordinators, behavioral health specialists (onsite and via tele-health) and coding educators. Capped patient panel size – The risk-adjusted patient panel size for physicians is capped at 2,100 patients and advanced practitioners at 1,800. Our ground-breaking genomics program ensures that patients get the best diagnosis possible. MyCode analyzes the DNA of patient-participants to diagnose medical conditions earlier and help find new treatments to manage these diseases. Geisinger’s advanced, nationally recognized patient-centered medical home model provides improved control of chronic diseases, and more complete preventative care. Click here to learn how our innovative and collaborative approach to care gives physicians the tools they need to do what they do best – provide exceptional care. Competitive base salary model – Compensates providers based on years of experience and not RVU productivity. Recruitment incentives – Medical school loan repayment and residency stipends as well as geography stipends (available at specified clinics) for primary care physicians. Continuing medical education – 15 working days and $3,500 annually. Teaching opportunities – Available at one of Geisinger’s four primary care residency programs including: Family medicine, internal medicine and internal medicine/pediatrics. Additional teaching opportunities are available via advanced practice preceptorship, medical student teaching and faculty appointment with the Geisinger Commonwealth School of Medicine. 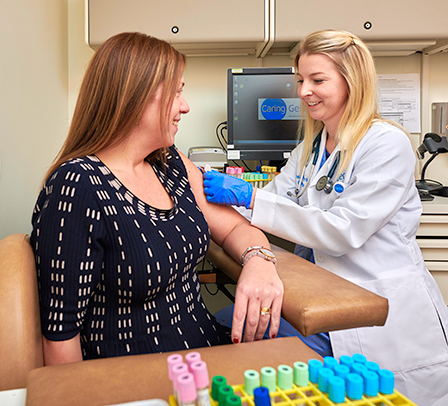 We give our physicians and advanced practitioners support from pharmacists, care managers, health managers and clinic health associates who are essential to comprehensive care. Learn more. Supplemented by advanced practitioners, our urgent care clinicians diagnose and treat common medical problems and provide routine health exams. Learn more. Geisinger Senior Focused Centers are committed to providing the best care for every patient and as experts in primary care, meeting patients' needs is our top priority. Senior focused centers are dedicated to providing “one place” for patients 65+ for all health and well-being needs. Providers and staff will work together and coordinate the patients care based on their needs. This will include wellness coordination, center activities and specialized care all under one roof. The center aims to improve the quality of life of our patients through accessible, comprehensive, and quality healthcare, provided in a warm and compassionate setting. Our physicians, nurses, and staff are committed to providing seniors with the quality medical care they deserve, so they can live better! You may also email Miranda Grace or Tammy Bonawitz to discuss these opportunities. Sarah completed her physician assistant training at Philadelphia University. 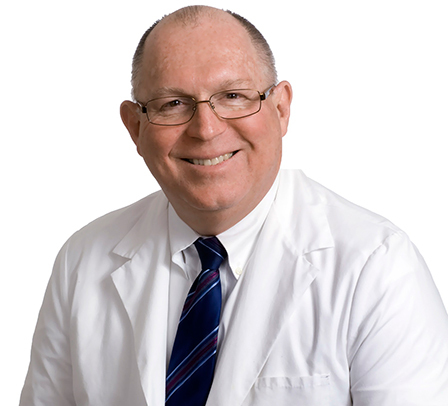 Dr. Martin received his medical degree from Jefferson Medical College in Philadelphia and completed his residency in family medicine at Geisinger Medical Center. Dr. Martin is certified by the American Board of Family Medicine and is a Fellow of the American Academy of Family Practice. "I was first struck by how Geisinger seemed to be light years ahead of other health care institutions. It definitely impacted my decision to practice here. Someone was always there to answer all of my questions, and as a new physician, that’s very encouraging. I think that’s one of the great things about working here – not only is Geisinger far ahead of the competition in terms of holistic patient care, but they look for ways to make things better for employees, too. 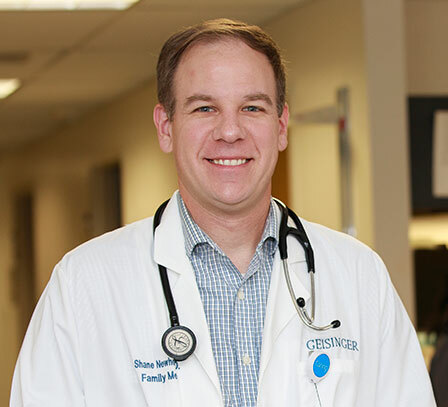 It’s one of the many reasons why I choose to stay at Geisinger"
Dr. Newhouser received his osteopathic degree from the Philadelphia College of Osteopathic Medicine., and completed his residency at Latrobe Area Hospital. He is certified by the American Osteopathic Board of Family Physicians.